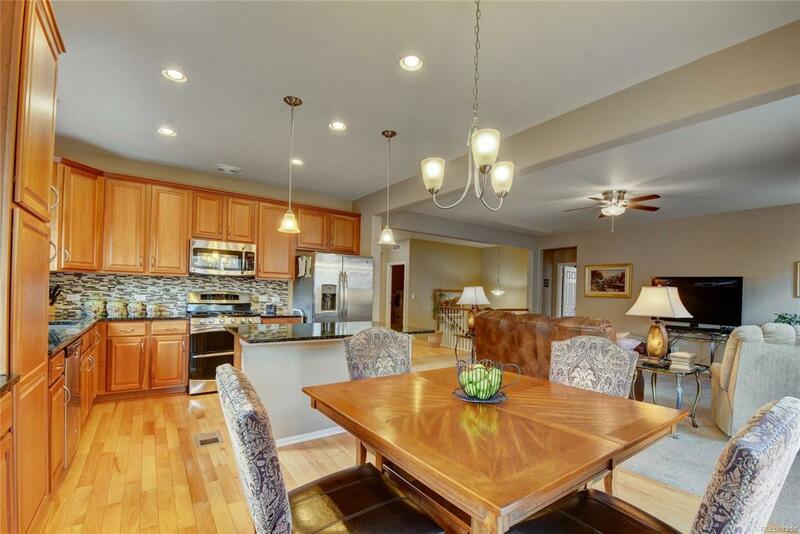 Enjoy the smart designer touches throughout this Ranch style home. 4bedrooms 3full baths with un-conventional space for an office/bedroom. Main floor master suite with coved ceilings, double sinks and granite counters. Cherry cabinets with stainless appliances and stylish backsplash in the kitchen. Fully finished basement with ample storage throughout. Private patio complemented by pro landscaping leading to the built-in dog run. Just steps down from the park with all the amenities you need moments away. This is too good to pass up for the price. Larger on the inside then it looks.